As you may or may not know, it is engagement season! 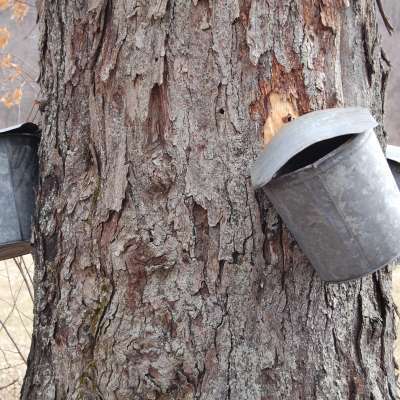 It&apos;s true, 43 percent of engagements happen between November and January. 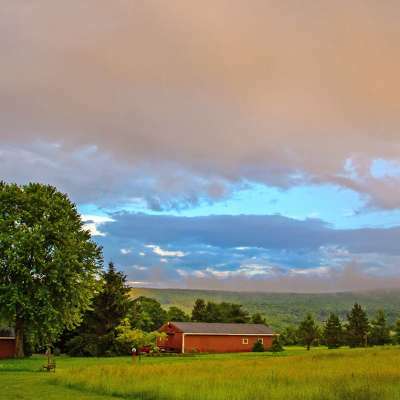 If you&apos;re getting ready to pop the question, use these few places in the Laurel Highlands as inspiration to find the perfect spot that neither you nor your love will ever forget. 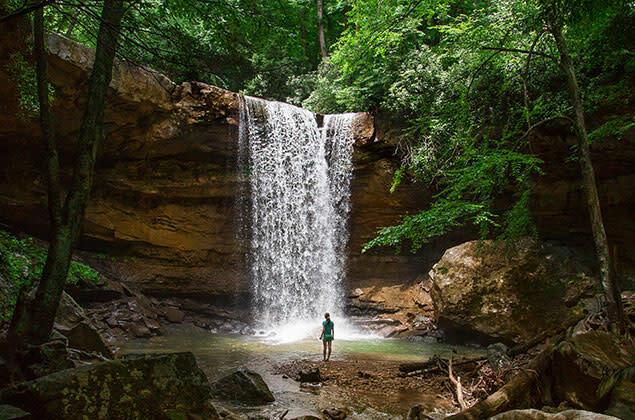 Take a short hike with your sweet and end up at Cucumber Falls at Ohiopyle State Park. When you get there, not only the views will be worth it, but also the smiles you&apos;ll share once you propose! 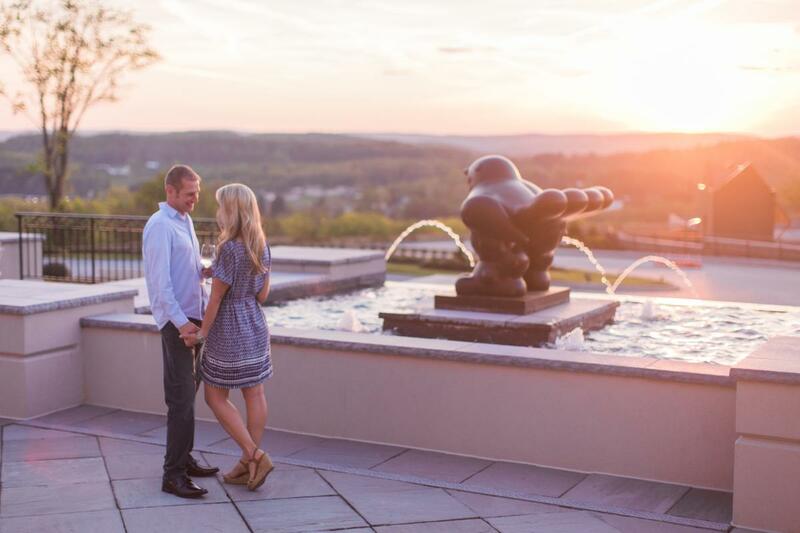 If a weekend getaway is long overdue, take your darling on a romantic retreat at Nemacolin. While you&apos;re there, pop the question at the resort, where every spot is beautiful! Contact the resort in advance for special arrangements. Ask the love of your life to marry you surrounded by mountain vistas and snowy slopes at Seven Springs. 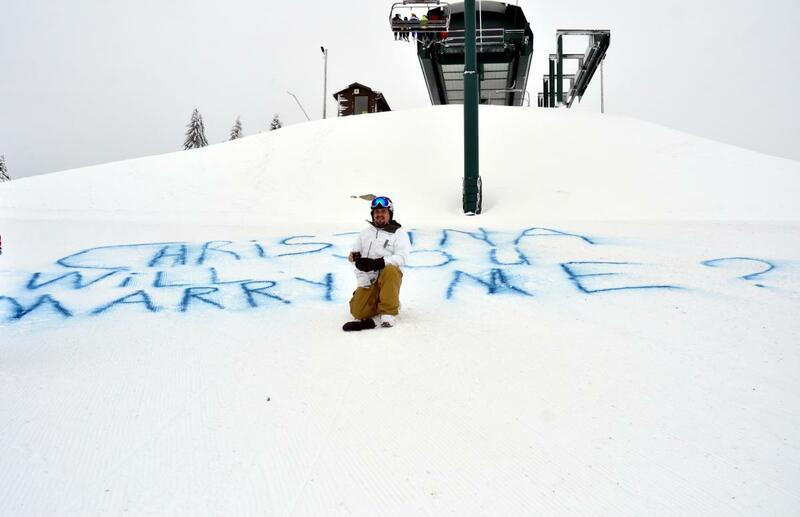 The gentleman below wrote his proposal in the snow and kneeled below his girlfriend, who was riding above him on the chairlift. 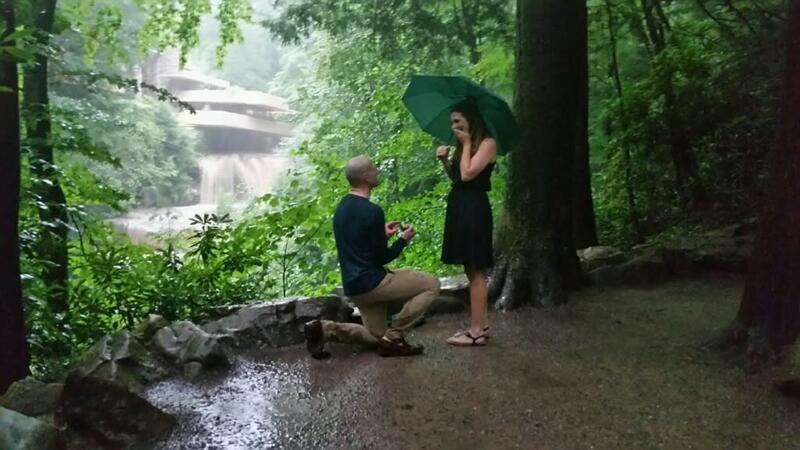 If you are thinking of proposing at Seven Springs, please contact the resort ahead of time! 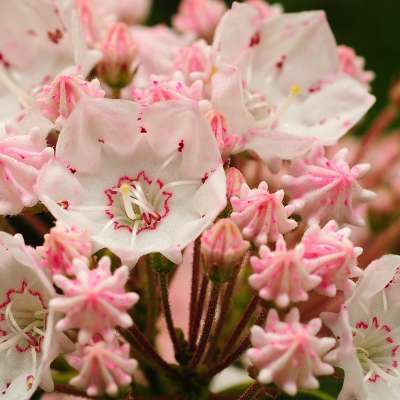 They will help you plan the perfect proposal that will go off without a hitch. Take your boyfriend or girlfriend on what they think is just a fun date and tour Fallingwater, an architectural masterpiece. Give your love the surprise of their life when you get down on one knee. During the winter, Fallingwater is only open for tours on specific days, so please plan accordingly. During the holiday season, the Christmas tree, lights and music make the Diamond in Ligonier even more magical than it normally is. 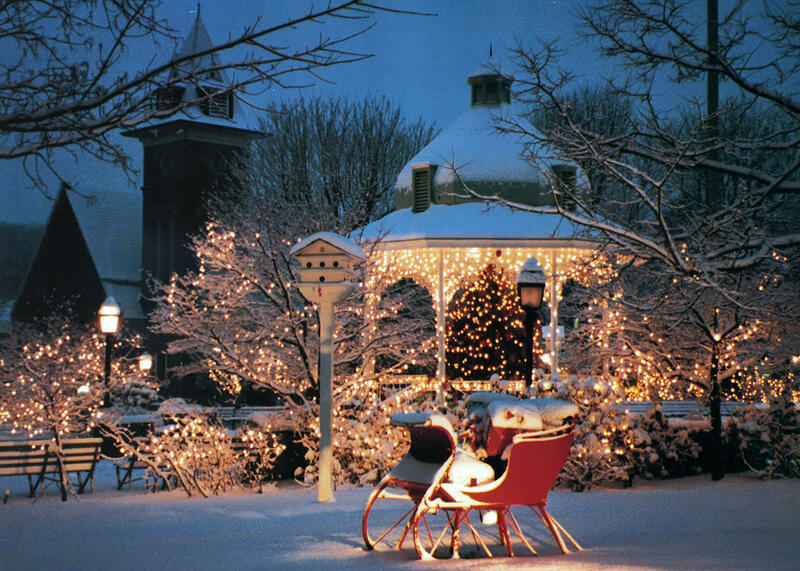 The gazebo would be the perfect place for a proposal on a snowy night. 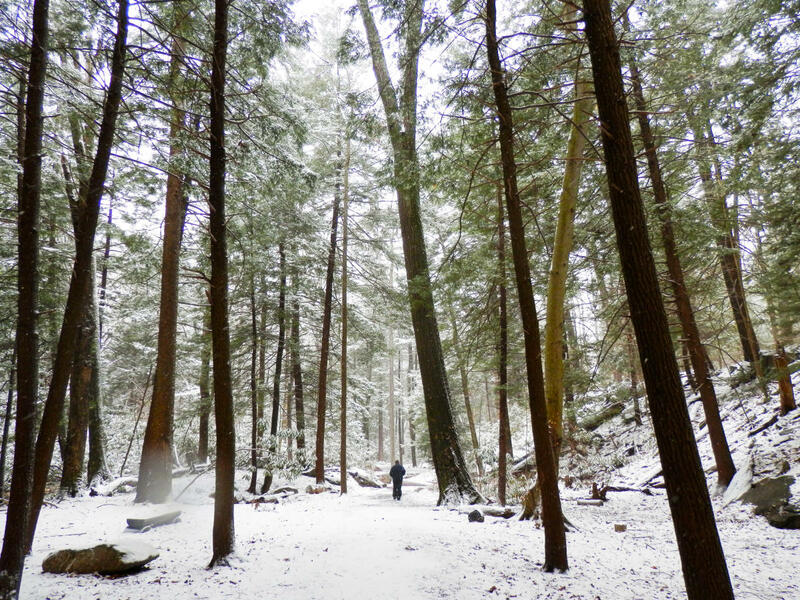 If you and your significant other are outdoor adventurers, what better place is there to propose than among towering trees? 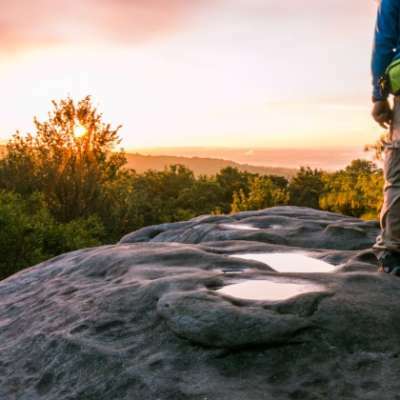 Linn Run has amazing trails and magnificent rivers perfect for a private, intimate proposal!